Are you thinking about cutting the cord, but aren't sure what you're options are? Here are the best 'cable lite' services around. Cable providers have long held a monopoly on what we get and how we receive our content. In recent years, companies have been able to work with some of the bigger channel distributors to make a break from traditional cable packages. Most recently Hulu updated its on-demand services with a live TV option and YouTube is rolling out its own live TV option, including support for local broadcast networks like ABC, CBS, and Fox. If you've been thinking about unshackling yourself from the cable package limitations, here are the best options for cord cutters right now. See more on streaming TV at CordCutters.com! Hulu has added live streaming of cable and broadcast channels to its already enormous on-demand programming. Hulu with Live TV now offers approximately 50 channels for which you can watch live and on-demand shows for a starting price of $39.99. You can also add Showtime to the mix for an additional $14.99. Hulu with Live TV is currently supported on iOS, Android, Apple TV, Xbox One, and Chromecast, with support for more devices coming in the future. It comes with support for a handful of broadcast channels in certain areas, like ABC, CBS, Fox, and NBC, but if your region doesn't support it, you might not get support for the big four. You can also watch sports from ESPN's lineup and two Fox Sports channels, as well as NBC Golf and Big Ten. In the base price, you'll get 50 hours of DVR recording so you can watch TV shows and movies that are otherwise only available live, at your leisure. 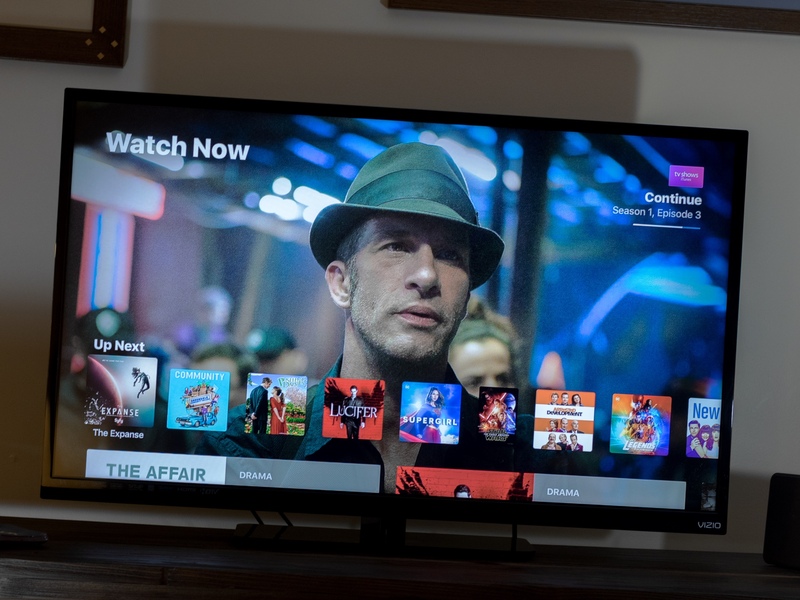 You can pause and rewind live TV, but can't skip through ads unless you upgrade to the Enhanced DVR package or switch to the ad-free subscription, which will eliminate those commercials altogether. Hulu with Live TV is currently the most content-rich streaming service thanks to the on-demand titles you've been able to watch all along. YouTube is hitting the cord cutter market running with a streaming service for watching live basic cable and broadcast network channels. Currently, it features about 40 channels, including the four major networks, ABC, CBS, NBC, and Fox. It also comes with the ESPN lineup, and even manages to include Fox Sports 1, NBC Sports, Big Ten, and CBS Sports, which covers much of the major sporting events. For $35 per month, you can watch live content on iOS, Android, Chromecast, Google Cast on smart TVs, or the web. Though Apple TV is not currently supported, Google says it will support more devices later this year. You'll also get a free Chromecast when you sign up, after your first paid month, so you'll be set, even if Google never adds support for YouTube TV on Apple TV. In the base price, you'll get a DVR recording and cloud storage feature with unlimited hours for up to nine months. You can pause and rewind live TV, but can't skip ads. Currently, YouTube TV is limited to just a handful of cities, and even if you live close to a supported region, you might not be able to use it. You can see if you're area is supported before signing up. Available for PlayStation 3 and PlayStation 4 consoles across the U.S., PlayStation Vue lets you access some of the most popular networks on television for a monthly subscription fee. They have four different subscription packages, that range from $39.99 to 79.99 a month, meaning you should be able to find the package that is right for you. All of the packages come with a slew of channels such as AMC, Cartoon Network, CNN, Discovery, Disney Channel, E!, ESPN, ESPN2, Food Network, Fox News Channel, Syfy, USA, and more! Plus, you can add individual premium channels to any package for an additional monthly cost. PlayStation Vue also allows you to record live TV so you can watch it later, just like a DVR, and even has an explore mode to give you suggestions of what to watch when you can't decide. Select PlayStation Vue channels can be viewed from the PlayStation Vue Mobile app available for Roku, Apple TV, Amazon Fire TV, iOS, and Android. The first thing that may excite you about Sling TV is its starting price of $20 per month, but there is more to life than just its price tag. Sling TV is accessible through an app for Roku, Apple TV, Amazon Fire TV, Chromecast, iOS, Android, Android TV, Windows, macOS, and Xbox One, so chances are you don't have to invest in a device to enjoy the service. Plus it comes with some great channels which include AMC, TNT, ESPN, CNN, History, HDTV and the Disney Channel, so you're bound to find something to keep you entertained. Sling TV does have a few drawbacks. There is no DVR, so most channels don't let you control playback, and right now you can only stream to three screens at a time, so if you are a family with lots of TVs on all the time that could be problematic. DirectTV NOW certainly sounds like an impressive deal; you can get 60 channels for $35 a month or up to 120 channels for $70 per month. You can even get local shows depending on where you live. Certain regional sports programs, as well as regional divisions of networks like NBC, are available in the major cities plus you can add premium channel like HBO and Showtime for only an extra $5 per month. It's available on Apple TV, Fire TV, Android, iOS, LeEco Android TVs, and Chromecast for Android Phones. For a limited time, DirecTV is offering a free 32GB Apple TV 4K with a four-month prepaid subscription. Not a bad deal considering the 32GB model costs $179. With the holidays coming up we've found some of the best gifts for cord-cutters if you need some inspiration! Updated February 2018: These are still the best TV streaming services avaiable for cord-cutters!